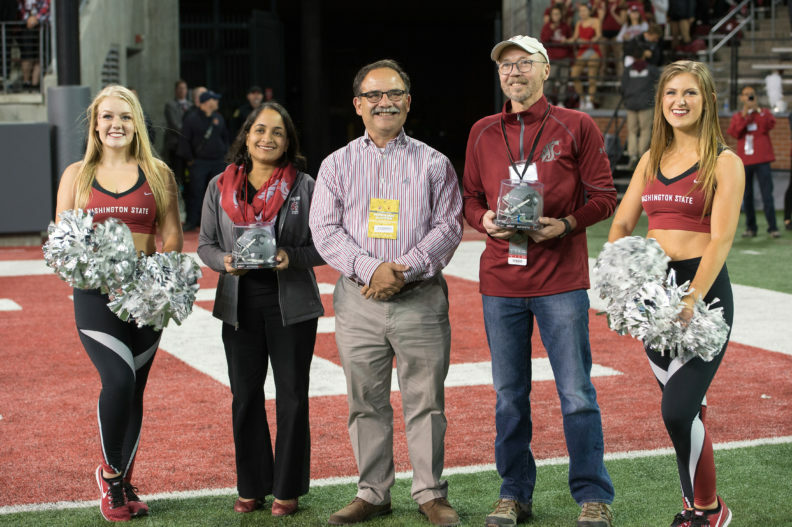 Steve Hines and Radha Nandagopal were recognized by Provost Dan Bernardo as Featured Faculty Members at the Friday, Sept. 29, football game against USC. Provost Dan Bernardo recognized Steve Hines and Radha Nandagopal as Provost Featured Faculty Members at the Friday, Sept. 29, football game against USC. Hines is a professor in the Department of Veterinary Microbiology and Pathology. Nandagopal is a clinical assistant professor in the Elson S. Floyd College of Medicine. Read about other Featured Faculty Members.